Over time, the MOJ intranet has become complicated to navigate and dense with content, which has led to a sub-optimal user experience. One of the main reasons for this is the number of organisational changes that have happened over recent years. As a result, the biggest challenge facing us is how to bring a number of intranet sites, currently housed on separate and outdated systems, onto a single platform. These are the goals we’ll be working towards. Our first priority has been the users. Speaking to a large number of MOJ employees about how they use the intranet, and what they expect from it in the future, has provided us with valuable insights. Analytics have played their part too, helping us understand which pages are the most visited, the search terms employees use and which documents are downloaded the most. In order to give employees the best intranet experience, we need the best possible platform in place. Given that our colleagues in other areas of government, such as the Department of Health and Department for Business Innovation & Skills, have successfully relaunched their intranets on the WordPress platform, this decision was an easy one. Working with both these departments has proved very useful, allowing us to learn from their experiences within their respective projects. We’ll also be improving the search function, and subsequently ensuring that search engine optimisation (SEO) is a top priority within the pages themselves. This means we’ll need to be meticulous about using the right words for titles, headings and on-page content, while also ensuring that metadata and URLs adhere to SEO best practice. 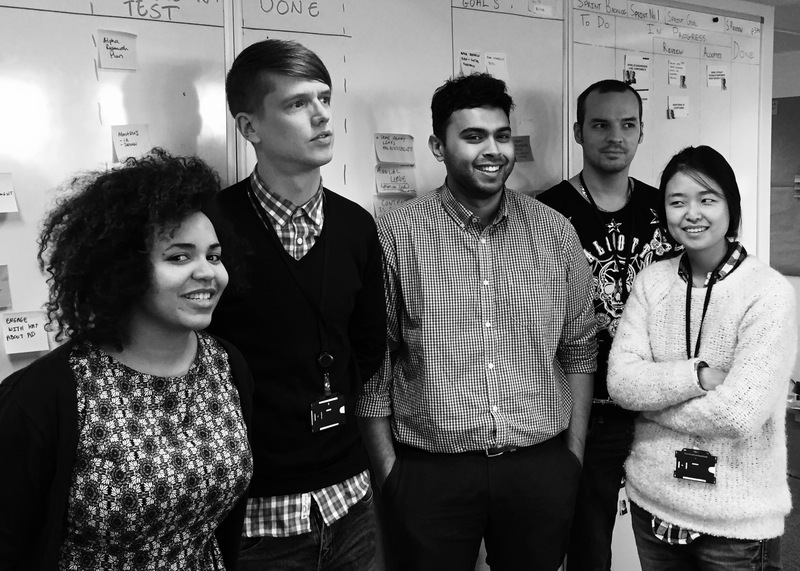 Given the amount of user research that has gone into the GOV.UK website, it makes complete sense for us to adopt its user-focused design principles and writing style. As well as making the design cleaner and signposting clearer, we’ll be laying out pages in the same easy-to-scan style as GOV.UK, providing users with only the information they need to perform a task. This will result in a huge overhaul of the existing content, removing superfluous chunks of content and breaking down the remaining information, where possible, to a series of headings and bullets. 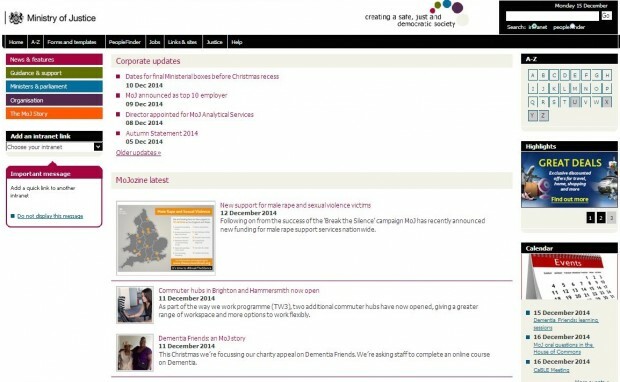 The new intranet’s design will also be responsive, meaning it can be viewed on every type of device from desktops to smartphones. On top of this, it will also be fully accessible to every kind of user by adhering to WCAG guidelines. So far, intranet users and stakeholders alike have been extremely positive about the changes we’re proposing to make. But we’ll only be able to truly gauge our success once the site has been launched. All the lessons we learn from the launch of the HQ intranet will be taken on board and applied to later releases. So, once the new intranet has been up and running for a few weeks, we’ll let you know exactly what these lessons have been. Check back here next summer to find out what we learned, what our successes have been and where we could have improved. An excellent write up of an interesting project! IT's particularly valuable to me since I am part of a team looking at the early stages of an intranet re-implementation at a public sector body. We would love to learn from your project, we have really struggled to find examples of successful large scale public sector intranet launches. Is any of the project documentation available? We are particularly interested in the high level stuff like strategy, high level project plans, timescales, team sizing and composition. Learning from your success would be invaluable to our project. Thanks for the feedback - I'm glad you found the piece useful. More than happy to help. I have your contact details so I'll drop you a line in the next few days. If I may ask how are you handling internal transactions? Things like a new starter, request an ID card setup, lost ID card, etc? Are you managing those outside of WordPress or hooking wordpress into some sort of ESB? All transactions will be taken care of through existing platforms and apps, so the WordPress intranet is simply acting as the single gateway into these transactional services. The content relating to these apps will still be housed on the intranet - our aim being to get users to their destinations quicker and easier. Hello inside out people. 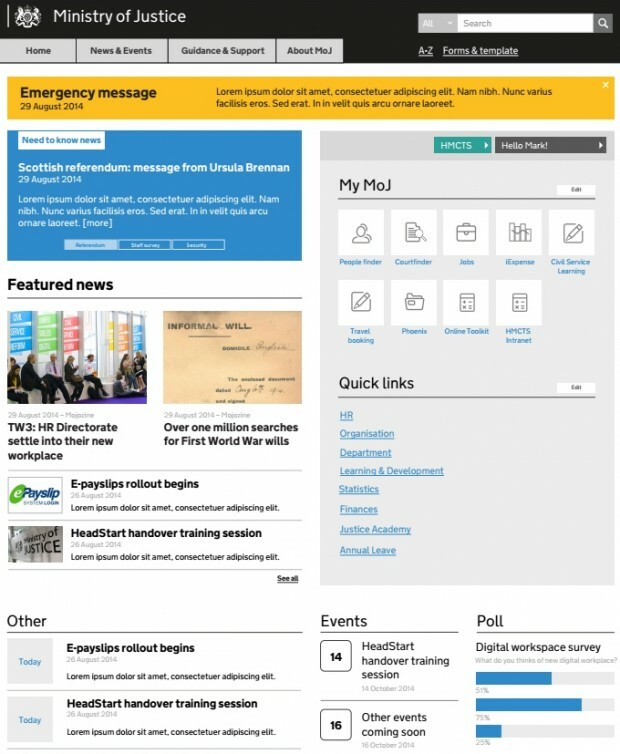 Any news on your new user-centred intranet? You promised us a blog post in the Spring .